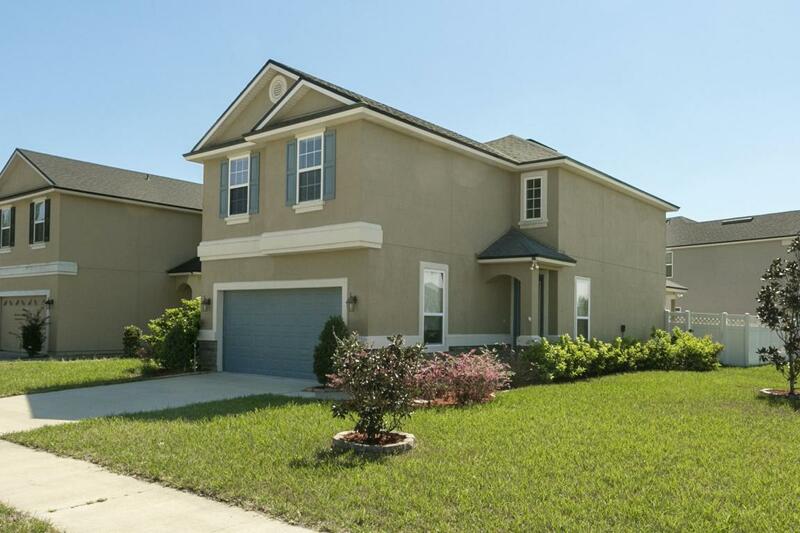 Come home to this 2 story, 3bed/2bath Move In Ready home in the Oakleaf Plantation Community! This home features an open floor plan, stainless steel appliances, granite counters, carpet in the bedrooms and tile throughout. All bedrooms are upstairs. The home boasts ceiling fans in most living areas and patio which is private and surrounded by white vinyl fence. You've got to see this home!